Come for an overnight summer camp you will never forget! Join hundreds of campers across the state as they seek out a summer of adventure, excitement and a chance to deepen their appreciation of God’s creation. A wide variety of camps offer every kid an opportunity to experience God in a new way during these overnight summer camps. Each week may be different, but campers are guaranteed a week they will never forget with wilderness exploration, crafts, team sports, faith-building exercises and classic summer camp and waterfront activities. 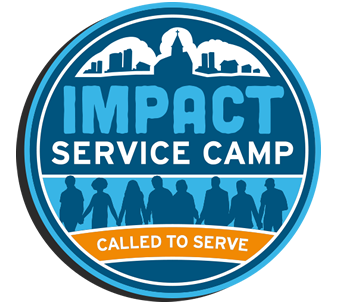 Infuse Core Camps are held at four locations across Missouri in order to meet the unique needs of each camp. The directors and counselors volunteer their time to be at camp, showing their dedication to patiently share God’s love in a creative way that kids can understand. Being at an overnight summer camp fully immerses campers in a Christian community, so they quickly forget about any technological distraction. Although it may look a little different, core camping is still infusing a relationship with Christ into the hearts of our campers. Find an overnight summer camp that fits your camper! 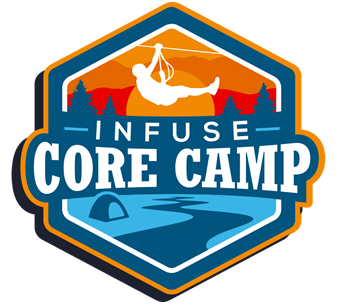 Registration for Infuse Core Camps close two weeks before the start of each camp. Camp refunds will be issued accordingly, minus a $25.00 administrative fee. A month or more before the first day of camp, a 100% refund will be issued. Four to two weeks before the first day of camp, a 50% refund will be issued. Any cancellation that occurs less than two weeks before camp will receive no refund. If a camper does not show for the first day of camp, there will be no refund issued. In the event of illness, accident, or family emergency, it is necessary to call the Office of Next Generation Ministries. Look for an email for a camp specific list before camp starts, or contact Scott Burdin with more questions. How can I communicate with my camper during the week? Parents can send emails to their campers at Camps2k15@gmail.com. 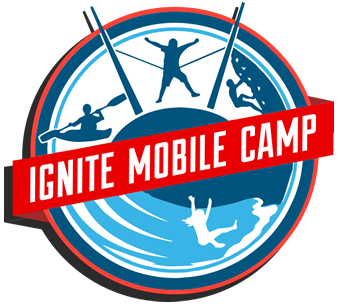 Parents will need to put their camper’s name and the name of the camp they are attending in the subject line. Camp staff will check the email account daily and distribute emails during meal times or other time decided upon with the camp director. How can I see pictures of my camper during the week? Pictures will be uploaded as time and Wi-Fi permits to our Flickr account. You should receive a specific link to the appropriate account two weeks prior to the start of camp in your “Know Before You Go” letter. For Summer 2018 Camps click the link below to view your photos. Infuse Core Camps are focused on providing an immersive experience for youth to separate themselves from the chaos of everyday life in order to focus on their relationship with the Lord. Although they will be disconnected from electronics, parents will be able to keep up with their students through email and a Flickr site with pictures. A “Know Before You Go” email will be sent to all parents two weeks before the camp begins that will include any information you will need to know such as drop off and pick up time, packing list, picture link, address, and any special instructions. Check the FAQs pages for more specific information. Due to the wide variety of overnight summer camps throughout the summer, every age from 3rd grade to seniors in high school will have a spot in a camp. Safe Sanctuary certified counselors will be trained to lead each age group according to their unique needs. Although each campground provides different amenities and activities to suit the various Infuse Core Camps there is a wide range of activities such as swimming, hiking, gaga ball, water games, crafts, ultimate frisbee, fishing, archery, nine square, and much more. Students will be able to connect relationally and spiritually through worship, small group Bible study and discussion, service, and leadership opportunities. Welcome to the best summer ever, the place you’ll find a chosen family, the one week you’re guaranteed to be accepted by a Christian community and grow closer to God. We’re so excited to have you at one of our many core camps and hope you’re ready for a week you’ll never forget. These overnight camps are designed to foster relationships between campers and counselors through exciting games and activities that are catered to every camper no matter what you’re interests are. You won’t want to keep all this fun to yourself, so share the excitement with your friends and invite them to come with you!